Meetings provide news and information for Remodelers, trade contractors and associated professionals. An educational topic and Spotlight Member are featured every month. Meetings are open to all SAHBA members, however, an additional $110 is required for official Remodelers Council membership which provides additional benefits including, membership in NAHB-R, placement in “Remodelers Row” in the SAHBA Home Show and a listing in the Remodelers Council Directory (distributed publicly). Download the 2016 Remodelers Directory. 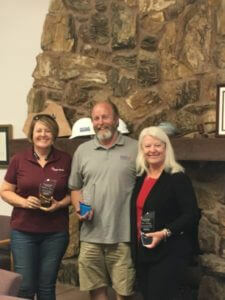 Congrats 2nd Annual Remodelers Council Appreciation Awards Winners! Tucson Rolling Shutters, Inc. manufactures the finest retractable products to improve the security, energy efficiency, comfort, and privacy of your home or business. We sell and install retractable products all around southern Arizona. We also manufacture and ship top quality finished products to dealers all across North America. Tucson Rolling Shutters, Inc. carries a wide variety of products to enhance your lifestyle. Tucson Rolling Shutters, The Solution Screen, Solution Xtreme and Tucson Interior Screens and Shades, each have different attributes to solve various concerns. Learn more about how our products can help you. We manufacture the solution! 1. Collect names of remodeling companies. Start by searching the SAHBA Remodelers Council Directory for qualified remodelers to find a match for your project. 2. Discuss your project with a couple of remodelers. Call a few remodelers from your list to discuss your project. Describe what you envision and ask the remodeler if they can provide background information on their expertise. 3. Ask if the remodeler has general liability insurance. Ask important questions to help ensure you hire the best professional. Does the remodeler have a license? Do they have general liability insurance in case of an accident on the job? Do they guarantee their work? How do they handle any problems that may arise on the project? 4. Check the references and background of the remodeler. Be sure to conduct some background research by checking with the Better Business Bureau, talking to their references, and asking if they are a trade association member (such as SAHBA Remodelers). Remodelers with these qualities tend to be more reliable, better educated, and more likely to stay on top of construction and design trends. 5. Don’t fall for the lowest bidder. Many people may be lured by the lowest price thinking that they have found a great deal. These bids may be more costly in the end if the contractor is cutting corners. Often times, the lowest price may not ultimately provide the best value for your home remodel. 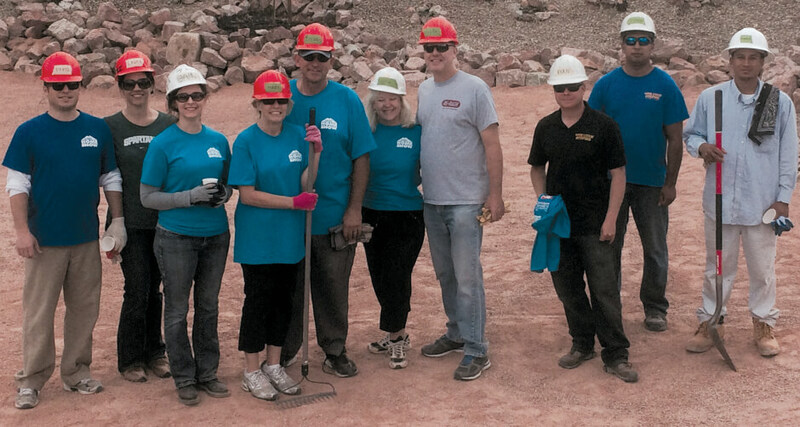 Neighbors and volunteers including members of the Southern Arizona Home Builders Association (SAHBA) Remodelers Council participated in Habitat for Humanity Tucson’s “A Brush with Kindness” community service project In conjunction with National Home Remodeling Month. David Godlewski, Julie Olauson, Laura Godlewski, Mary Wallace, Steve Wallace, Lisa Walling, Jeff Walling, Ryan McDaniel, Francisco Castro, and Andy Miller.